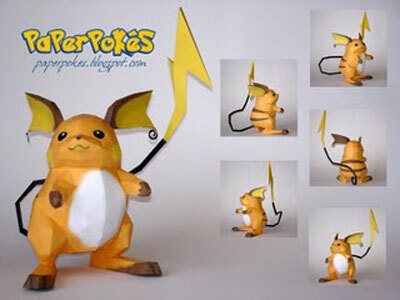 Check out this raichu papercraft toy by Paperpokes. You can make it yourself using free template provided by them. Looking at this raichu papercraft will make you think that it's complicated. Well, assembling it is quite difficult. For short, it's on a new level of crafting. Especially when you need to grab a software to open the template then print it out from it. There is no tutorial to guide you too. Fortunately the software is free with just a small size of file to download. And about raichu, I think most of pokemon / pikachu fans know it. It's actually an advance or evolve version of pikachu, right? I remember posting a post on money box papercraft with football shape during last FIFA world cup season which is worth checking out. 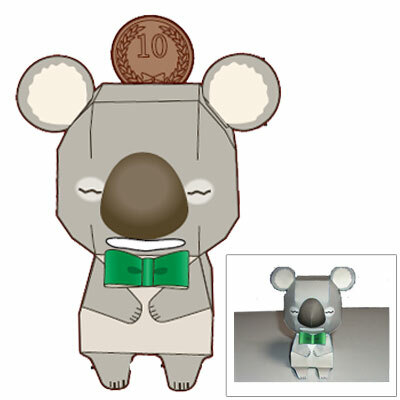 While for girls, here is a cute animal shape money box for your collection. It's koala bear by Ryo Tokisato. You can either use it t save your money or just for decoration. 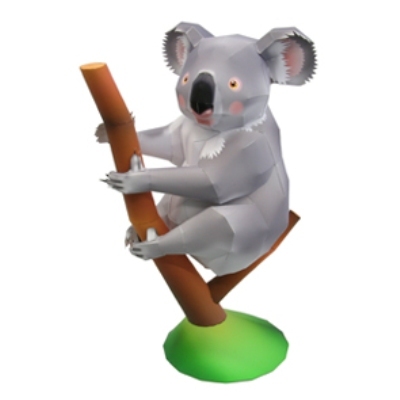 And I know certain someone who will like this because she just loves koala bear. Though I personally think the money and panda are much cuter. Unfortunately, no free template for them. Have you ever played harvest moon? Hmm. It's a popular farm story, life simulation, role playing game produced for GBA, Nintendo, Play Station and others. You play a boy / girl character who will try to run a farm, from breeding to planting, selling crops and even get a chance to woo girls that you like and finally get married and have a family. It's fun, guaranteed. So today i will present you something related to it. 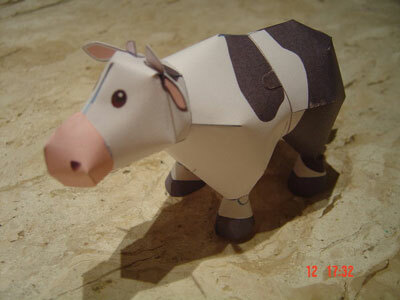 It's a cow paper model and toy from Harvest Moon game series. Free printable template by KeiCraft. 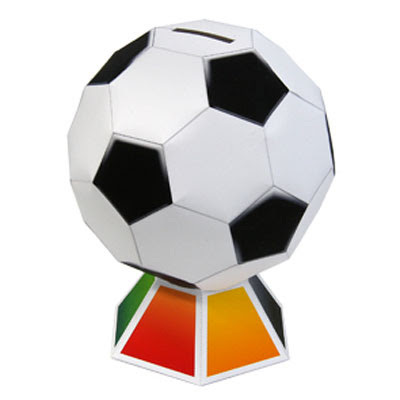 This really fits the world cup season because it's actually a football shape money box by Canon Creative Park.